I was stuck in Bermuda last month while everyone had a great time at Kscope17! So, for me, and everyone else who missed the fun, here are a selection of post event blogs, and some links to the actual content. Next year I will certianly try to go over for Kscope18 – http://www.kscope18.odtug.com/ which will be held in Orlando, Florida – USA (Hone of Disneyworld!). You can book your room now, for 219 dollars – which is currently GBP169 – per night. The rate is good up to Mya next year, but will the British Pound fall further against the dollar! Slides from some of the talks are available here. He writes about the Food and Swag, the Sessions and Sharing, The People! and Gratitude. Cameron Lackpour talks about his lack of sleep, dinner, presentations and the people. Debra Lilley talks about how she loves the community service day, the sessions she delivered and geek game night! 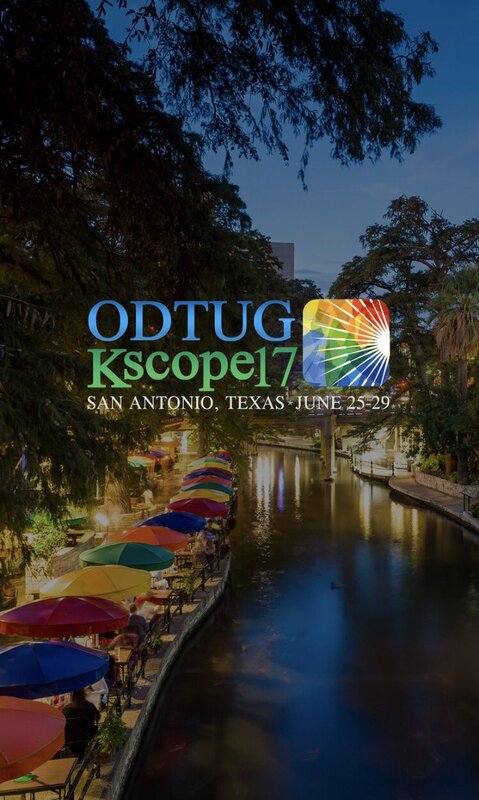 ODTUG share the booking link for Kscope18. You have a matter of days left to catch the Early Early Bird! The award winning speakers are listed here! Jazmin Ribeiro shares her experience of Kscope from a newbie’s perspective. She tells other newbies not to be afarid – you will meet people!! Celvin Kattookaran shares lots of pictures of the event! Opal A shares a comprehensive recap of the entire week. Two blogs from Ludovic De Paz about this year’s Kscope. Next Summer Holiday Reading for OBIEE Fans.